*Update: This article about the height of Harry Styles has been updated last May 14, 2016. What is the height of Harry Styles? Here are some information about Harry Styles's height. 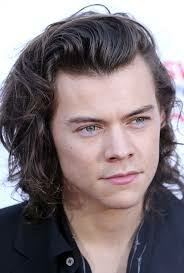 Harry Edward Styles is an English singer and songwriter, known as a member of the boy band One Direction. He made his debut as a singer with his band White Eskimo, who performed locally in Holmes Chapel, Cheshire. The height of Harry Styles is 5ft 11in, that makes him 180cm tall. Harry Styles's height is 5ft 11in or 180cm while I am 5ft 10in or 177cm. I am shorter compared to him. To find out how much shorter I am, we would have to subtract my height from Harry Styles's height. Therefore I am shorter to him for about 3cm. And see your physical height difference with Harry Styles. Do you feel that this height information for Harry Styles is incorrect? Leave your comments and suggestions below and help us make this height listing for Harry Styles more accurate. Hi there, thanks for commenting. Can you please provide an image or a web article that would somehow prove or defend that the most recent height listing of Harry Styles now is 6'3"? Exactly, but you know, that is very possible. There we're people who grew by almost a foot in just a couple of years even after puberty. Try reading about growth spurts. Harry cant be that tall. He could be 6'3" when he is wearing elevator shoes. Harry Styles is only 5'11". Bruh, he's 5'11. It says it right on Google. harry is now about 6'0-6'3, since he was 5'8 when he was 16 (Gemma said it herself) so he must've grown in 4 years. Also Louis is about 5'7, and Harry is a good 15cm taller than him. Harry Styles is at least 6ft. Everyone here saying Harry Styles is 6'3"... Pfft! Has anyone seen pictures of him next to Louis 5'4" sister Lottie Tomlinson? Or next to 5'8" James Corden when they we're standing signing 'Steal my girl' on dodge ball. Harry has been seen wearing shoes that are about 3 inches high and to be 6'3" next to Taylor swift he looks the most 6'1" or plain 6. Even tho she's around 5'10" to 5'11". Fangirls dream on Harry being 6'3". Grown spurts can give three to five inches so saying his 6'3 on 5 years I don't think his going for 7 inches.